Intervention by the Maldives on behalf of AOSIS at.. It is my great honour to deliver these remarks on behalf of the Alliance of Small Island States, AOSIS, at this meeting with the Secretary-General-designate Mr. António Guterres. AOSIS members are proud to have joined the consensus resolution put forward by the President of the General Assembly last week appointing Mr. Guterres as the next Secretary General. AOSIS would also like to welcome the increased transparency and openness of the Secretary General selection process and consider it to be a new benchmark for this process. AOSIS welcomes the confirmation of the new Secretary-General and looks forward to an active engagement as he takes over the Office in January 2017. As this is our first meeting with you, I wanted to share some background on AOSIS, which celebrated its 25th anniversary last year. We are a coalition of Small Island and low-lying coastal states. Made up of 39 members of which 37 are UN member states AOSIS represents approximately 20% of the total UN membership. Most of our members are small, but we work through AOSIS to ensure that the voice of SIDS is heard in multilateral processes. 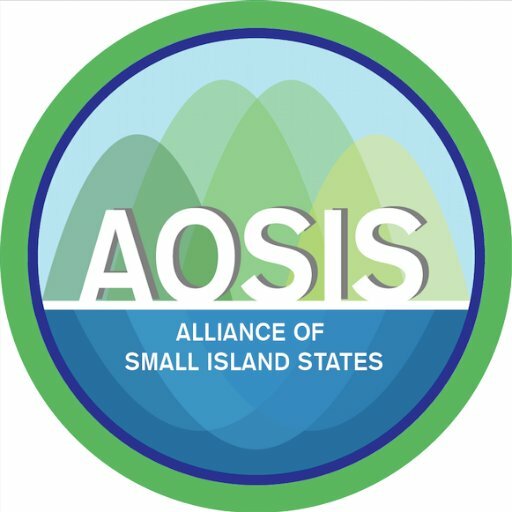 Through the work of AOSIS, and its members, SIDS have been formally recognized by the UN system generally and by specific negotiating processes as a special case for sustainable development. We face a unique set of development challenges and limitations as a result of our small size, remoteness, narrow resource and export base, and exposure to global environmental challenges and external economic shocks, including to a large range of impacts from climate change and potentially more frequent and intense natural disasters. It would be remiss of me to not recognize the important role that the current Secretary General, Mr. Ban Ki Moon, has played in ensuring that SIDS issues, particularly as they relate to climate change and sustainable development, received the necessary attention. Our work as AOSIS focuses primarily on sustainable development, climate change and oceans and the Secretary General's tremendous efforts in keeping a political focus on climate change and sustainable development was critical to reach the important agreements we reached last year. We look forward to your continuation of this important legacy. You assume your post at an important juncture. We have done the hard work of setting the framework, and now we must focus our efforts on effective implementation and we look forward to your leadership in this effort. There are a few areas that I would like to highlight on behalf of AOSIS as requiring critical attention during your tenure as Secretary General. First, under the sustainable development cluster, AOSIS will continue to advocate for the full and effective implementation of the SAMOA Pathway and the 2030 Agenda. On climate change, AOSIS will continue to push to ensure the Paris Agreement is a truly universal regime and will work diligently to ensure its effective implementation. On oceans, AOSIS countries are custodians of large expanses of oceans and seas and are crucial stakeholders on oceans and fisheries issues. We will continue to engage constructively in the discussions on an agreement under UNCLOS on biodiversity in areas beyond national jurisdiction and on those discussions related to SDG 14. More generally, we will continue to advocate for greater participation and representation of small island developing States, in the executive offices of this organisation, as well as in your special mandate holder posts. We will continue to ask that our voices be heard, and our views represented. The issues that face us are truly global, and subject to global forces, often beyond our control. And as the Secretary-General of the United Nations, we look to you to take leadership on forging international consensus on these matters. The entry into force of the Paris Agreement is a significant milestone that we should all rightly celebrate. But we know that it's not enough. We now need to focus on its implementation and on ramping up action to address climate change to achieve its most aspirational goal of holding temperature increase to below 1.5 degrees Centigrade above pre industrial levels, and ensure the viability and survival of the most vulnerable. In this regard, Secretary-General-designate, what are some of your early plans to maintain a high level political focus on climate change especially with regard to encouraging increased ambition, scaled up support - especially for adaptation, and heightened urgency of action to avert further irreversible consequences, and permanent loss and damage? Second, what steps will you take to ensure that the United Nations as a whole can better serve the needs and priorities of SIDS in a targeted, effective and results-oriented manner? Lastly, with many small delegations, AOSIS highly values the principles of openness, inclusivity, transparency, and accountability in multilateral processes. What steps will you take to ensure that your office will continue to maintain an open, inclusive, transparent, and accountable relationship with all Member States of the United Nations? With these few questions, let me conclude by expressing our confidence that your experience, competence, and leadership abilities will effectively serve the needs of the global community, including AOSIS members. We look forward to working with you in a constructive, transparent and inclusive manner and I assure you of the full support of AOSIS members.